At last...making art full-time: A Happy New Year! This is my older son (now 30!) 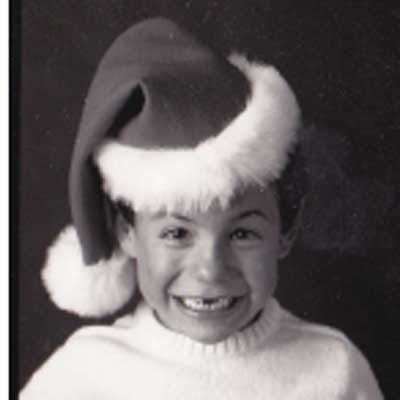 as Santa at age 6 or 7. 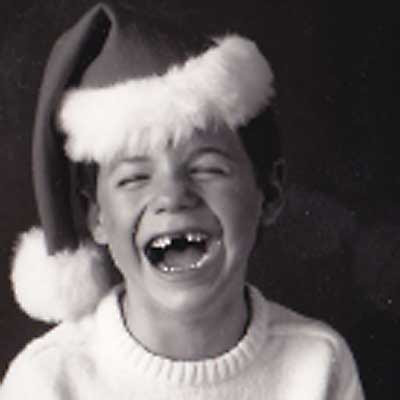 We created an "All I want for Christmas card" using one of a series of photographs my husband, the photographer James Cowlin shot of Jeremiah hamming it up for the camera. An ongoing New Year's Resolution of mine has been to sort out a trunk full of random photos and get them organized. Yes, over the years, I made both of the boys a series of scrapbooks, all labeled and in order. Then there are the literally hundreds of photos, masses of them, all out of order and in a major muddle. After our move to Oracle, I dedicated one whole table in my studio to my photo sorting venture. Every once in a while, I take a stab at organizing. I suspect that I do nothing but make things worse in these attempts. For one thing, I can never remember what my strategy was the last time I got into the organizing mood. So I end up undoing what I did before. At least I think that's what happens. Either that, or the photographs are reproducing in their piles. Anyway, I ran across a contact sheet of the Jeremiah Santa series and couldn't resist putting a few into my blog. 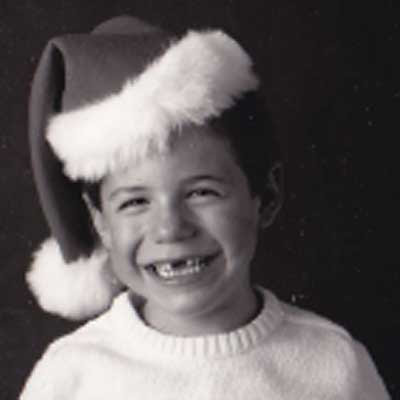 Next year, maybe I'll unearth Mathew's Santa photos from the pile and you'll see them on my blog. Or just maybe, the pile will be gone and I'll go directly to a neatly filed box and put my hands right on what I'm looking for. Stay posted. And meanwhile, I hope you'll enjoy the holidays. And have a very Happy New Year!